Congratulations to Susanne and Fraser who were married at Dalmeny Church near South Queensferry and then onto the stunning Carlowrie Castle for their wedding reception last Saturday. If you are looking for the perfect wedding venue I recommend a visit to Carlowrie Castle. 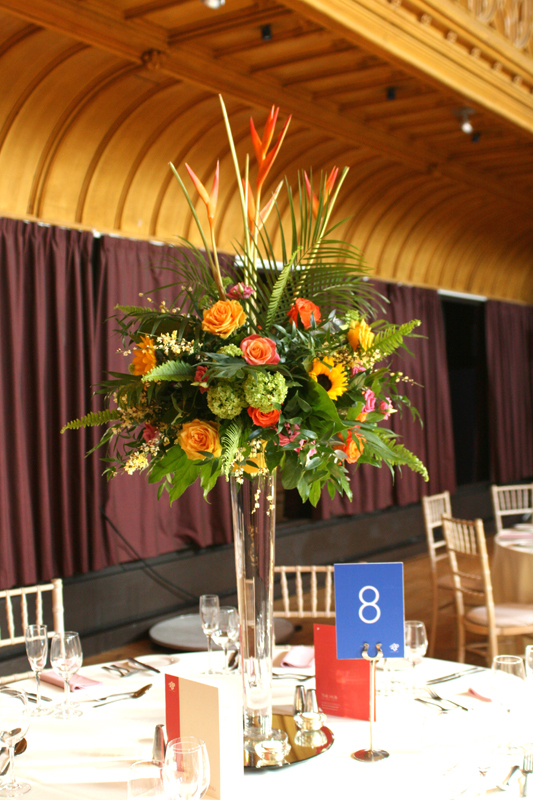 We provided a pedestal arrangement and candle display for Dalmeny Church and hurricane vases surrounded by flowers for the reception tables at Carlowrie Castle. 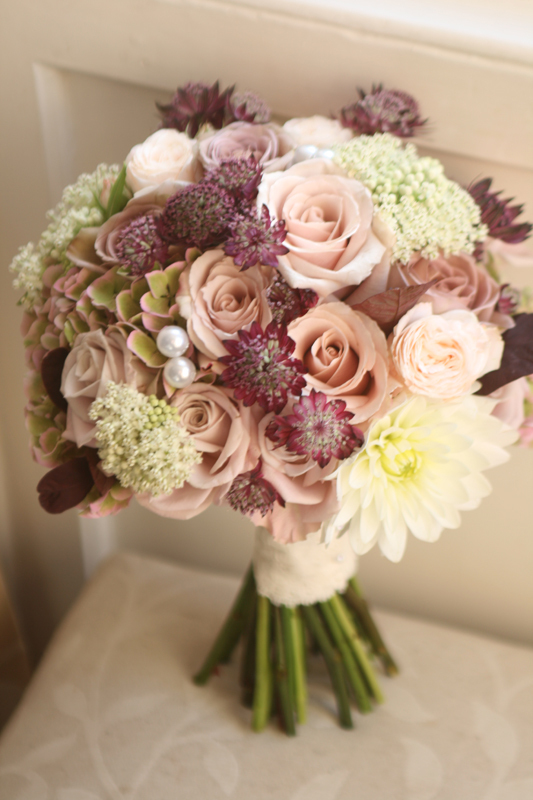 Susanne was looking for a vintage style with soft dusky pinks and touches of burgundy to tie in with the bridesmaid’s dress. 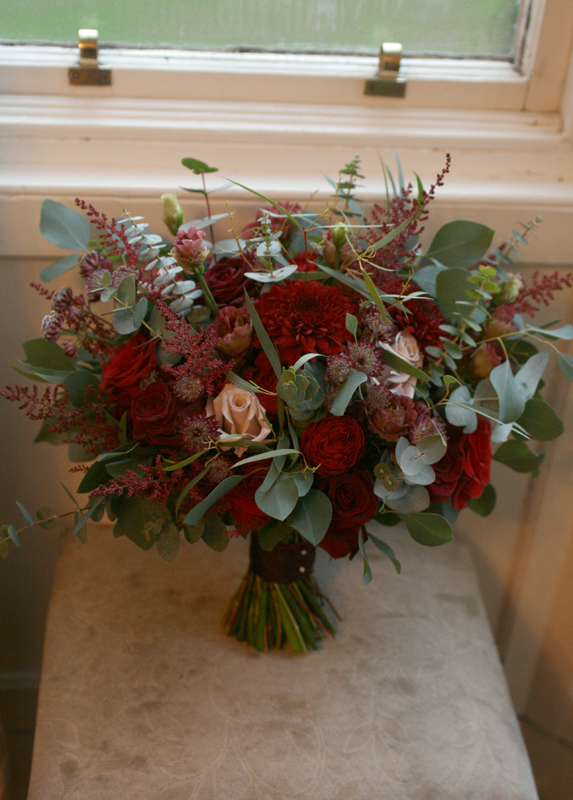 We used amnesia, quicksand, menta and spray bombastic roses, dahlia, astrantia, hydrangea, asclepias and cotinus foliage. Unfortunately, I only managed a few pictures of the bouquet but I hope to share a few professional pictures in the near future. Wishing Susanne and Fraser all the very best for the future.